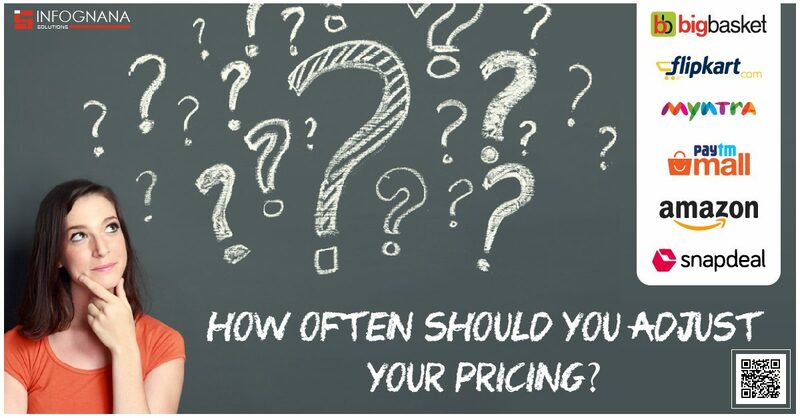 Every business will have its own pricing strategy which works well for them. Once you figure out what is working for you, you wouldn’t want to change it right? Here’s where you’re wrong! It is advisable to keep adjusting your prices because every aspect of the market fluctuates. https://www.infognana.com/wp-content/uploads/2019/01/Competitive-Pricing-Intelligence-services.jpg 629 1200 Nishitha Rufus https://www.infognana.com/wp-content/uploads/2017/02/Logo.png Nishitha Rufus2019-01-21 06:01:502019-02-04 11:30:18How Often Should You Adjust Your Pricing?